Using a chrome polish can completely transform the finish of the chrome by restoring lost shine and cleaning the surface. Chrome is found on a lot of classic cars but many modern vehicles use the material on trim, exhausts and wheels. The best chrome polish is the Simichrome 390050 All Metal Polish that not only removes surface rust and defects from the chrome but also adds a clear protective coating to prevent any further damage. Chrome is electroplated and soft so that it can be used to coat other metals and give them a shiny finish. Chrome is maintained through regular cleaning and maintenance but using the wrong polish on the chrome can cause disaster. Irregular maintenance of your cars chrome may cause removal or other serious issues to it’s finish. Due to the softness of chrome, you can achieve excellent results by using a quality chrome polish that is designed for automotive applications. Some manufacturers produce all metal or aluminum polish that may also be used on chrome surfaces. This may be a great benefit if you have a mixture of different metal components on your car. However, it’s important to note that these are to be used upon real chrome and not plastic chrome components. Below is a list of the best chrome polish that will clean and restore shine to your chrome trim, exhaust, wheels and other components. Simichrome is an automotive and domestic chrome polish that is highly popular. The 390050 can be used on all sort of metals, that being chrome bumpers to alloy wheels and works well for removing surface rust and restoring the lost shine. Unlike other chrome polishes, this polish take less than 30 seconds before you see the faded, dull or oxidized metal turn into a mirror finish. Not only that, the unique formula provides a protective layer to prevent further tarnishing in the future. The Simichrome polish is one of the best car chrome polishes on the market that is highly effective. The speed at which it turns dull metal to a metal finish is truly remarkable. The Quick Glo Chrome Cleaner is a water based fine polish, cleaner and wax all in one that can be used within a range of different applications. Its best use is when buffed into cars, bikes or boat chrome surfaces that are heavily oxidized. In terms of application, you can use a cotton rag or microfiber applicator and buff into the work area until the defects are removed. If you are a fan of Jay Leno you would have seen this chrome polish talked about and for good reason. Unlike many of the other chrome polish alternatives, the Quck-Glo will also wax the surface too. This is something to consider for those that are planning on buying another product just for waxing the chrome after polishing it. Turtle Wax are a huge detailing brand on a global scale and their chrome polish formula is one of the best options for chrome rims. Due to the salt on the roads, it can eventually start to introduce oxidation to the chrome wheels. However, with regular usage of the T-280RA formula, this can be a thing of the past. Overall, the T-280RA formula is the best chrome wheel polish that will restore them to their original gleaming luster. The only drawback is that Turtle Wax only provide this polish in small 4oz bottles, which you may go through quickly. The 3M Chrome and Metal Polish is a refined formula that removes surface rust, stains, corrosion and oxidation with ease. It is best suited to chrome or stainless steel but they do provide an alternative for magnesium or aluminum surfaces. 3M is a reputable brand and you do have to pay the premium price but the result speak for themselves. It is easy to apply and an excellent cleaner as well as a polish, which allows you to achieve “showroom shine” fairly easily. The Eagle One Nevr-Dull is one of the most expensive chrome polishes within this article, so you would expect it to provide excellent results. The brand claim it has been the go-to metal polish for over 70 years within the automotive industry, so this would indicate that it certainly works well. The 3-in-1 formula promises to clean, protect and maintain chrome and other metal surfaces within one application. Apart from the premium price tag, it is one of the most rated chrome polish and cleaner available that will not disappoint. Mothers is a detailing brand that is loved by many car enthusiasts in the US. There chrome polish is one of the best polishes they produce and contains an advanced formula that produces an excellent shine and is easy to use. Application of the Mothers chrome polish is as simple as using an applicator pad and rubbing it into the neglected surface. It is able to cut through most poorly conditioned chromes but its gentle enough to use of a regular basis. The California Gold chrome polish by Mothers is one of the cheapest chrome polishes available and is great for tough dirt such as brake dust and tough road grime. The Blue Magic 400 is not a popular detailing brand but their chrome metal polish certainly is popular. For heavy oxidization on metals, the Blue Magic is the leading polish cream that will reveal the shiny finish. You are able to use this polish for both automotive and domestic applications with the results working on all metals. Once applied, a silicone film is left over the metal surface that protects and increases the shine. It is an excellent all-rounder but it is more suited to those requiring a strong chrome polish. Car chrome that is clean, defect-free and polished up will provide a showroom shine every time. However, when neglected and poorly maintained, they can completely ruin the aesthetics of your vehicle. However, there is a wide variety of quality polish for chrome surfaces that can provide great results in a single application. Almost every components of your car can be chrome plated but there are many surfaces that use plastic chrome. If this is the case, you will want to use a different polish that is suited for plastic as opposed to metal surfaces. To help you make an informed buying decision, we have produced a detailed buying guide below regarding chrome polishes. Oxidation is a big worry when it comes to chrome because chrome has one enemy, which is rust. If oxidation occurs, so will rust spots and its important to try your best to avoid it. By placing a protective coating over the chrome, it will help preserve the surface and increase the value over time. Once chrome begins to fade and rust sets in, the value of the car begins to depreciate. Polishes come in liquid, cream, spray-on formulas. Some are even colored to match car paint color. This helps to improve the overall appearance of the finish too. As long as the chrome is not flaking off the surface, there is a chance to save it without having to have it re-plated. A good, quality polish will bring the chrome back to life once the rust has been removed. It is important that you use a chrome polish and not a regular car polish in order to get the best results. Use aluminum foil to remove rust (see below explanation). Clean the chrome free of debris and dirt. Dip the aluminum in saltwater. Dry completely with a towel. With regards to using aluminum foil, it reacts with chrome chemically for easy scraping of the surface. Aluminum is soft, which means it will not damage the metal underneath. The surface will dictate what kind of polish you buy for the entire project. You can check the label to see which surfaces the chrome polish can be used on. Most will include chrome wheels, air intakes, valve covers, bumpers and other accessories. Ensure that the chrome polish kit is able to clean aluminium as well as amalgam in addition to chrome wheels. To really bring out the shine in the chrome of an old car, it is best to first polish, then go back and use a high quality wax. Chrome rims will go through far tougher conditions that other chrome components of your car. Therefore its important that they are thoroughly cleaned and protected. We strongly recommend that you remove all the dirt before polishing by using a wheel cleaner for brake dust that is safe on chrome wheels. Once fully cleaned and dried, you can apply the chrome polish to remove all defects and increase the shine. Although many polishes have a protective coating, we recommend that you use a wheel wax after for further protection. Sadly, the older the chrome gets on a car, the more likely that there will be oxidization. A metal finishing polish can be used to treat the oxidized areas of an old car to bring them back to life again. Once the oxidization has been removed, clean, then follow up with a high quality wax to protect the surface area. Whether you have an old car or a new car, chrome is a beautiful addition. But if it is not cared for in the proper way, it can ruin the entire look of your car. In choosing your polish, make sure to follow the suggestions above in order to make the best possible purchase. 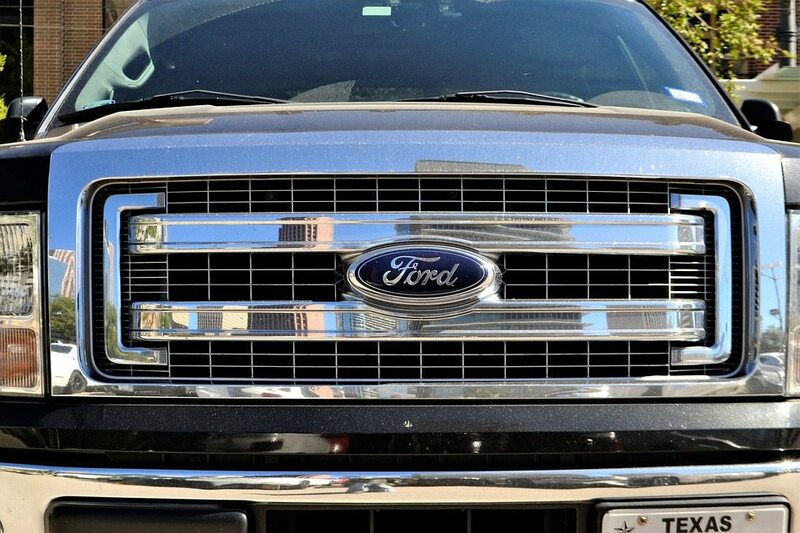 Chrome is a valuable addition to any vehicle on the road and when cleaned, it looks great. However, many fail to keep on top of maintaining chrome surfaces and they start to suffer oxidation and dullness. Using any of the recommended chrome polishes can restore any lost shine and clean the chrome surface with ease. You may already have an “all-metal” polish but unless it specifically mentions that it can be used on chrome, we would advise that you do not use it. Most polishes designed for chrome are relatively cheap and a worthwhile investment.